My name is Danielle. I served 7 years in the US Marine Corps. It is the source of my company's name, with Dagger being our unit's callsign. In between my military service I earned a degree in Political Science from the University of California, San Diego which I am not using at all. Whoops. 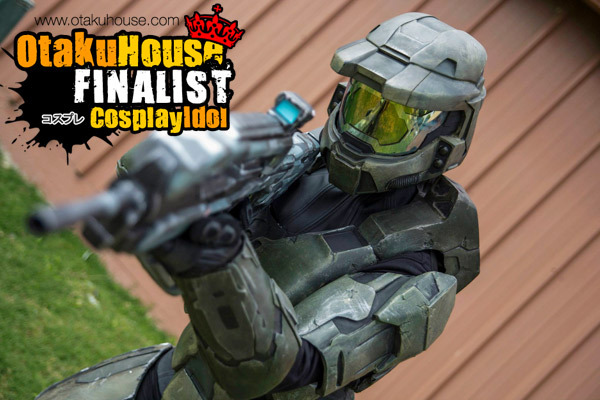 In the world of cosplay, I involve myself heavily with the 405th Halo costumers and recently helped found a local prop making hobby group. Teaching and learning new skills is my favorite aspect of the hobby and I hope over the next few years to branch out into costumes that are *gasp* not Halo related and not just fabrication based. I've already played around a little with Kyouko from Madoka, Labrys from Persona 4 Arena, and Kanaya from Homestuck, and most recently I made a little scouting legion cloak from Shingeki no Kyoujin for my pup! I'm currently going back to school for Film Production and Theater Technology with an end goal to work in production design, bringing dreams to life on the silver screen. I also have an interest in screenwriting and have held several panels on the topic of adapting video games to film. Description: Built in 9 days at the request of Microsoft to help The Warp Zone put together a Halo parody music video of the song "Glad You Came". As this was built for film, and on a tight schedule, the further down you go, the more duct tape appears. This was my first attempt at working with EVA foam, which was selected as the build material as the dance routine required flexibility, and I demonstrate some of that flexibility in this picture. I have yet to have anyone actually paint me like a French girl. Description: This suit was crafted by my friends at Blue Realm Studios. The team sculpted it out of clay over the course of two years created molds from it. Cast in urethane plastic, it is incredibly clunky and painful to wear, but it's darn gorgeous. The Blue Realm Studios suit I own has been featured on The Guild and a Lindsey Stirling music video, and I've assaulted Kevin Sorbo and Stan Lee in it for the camera. Blue Realm Studios would go on to create the first live action Master Chief ever seen in an official Microsoft film, making these suits and the team behind them an incredible piece of Halo history. 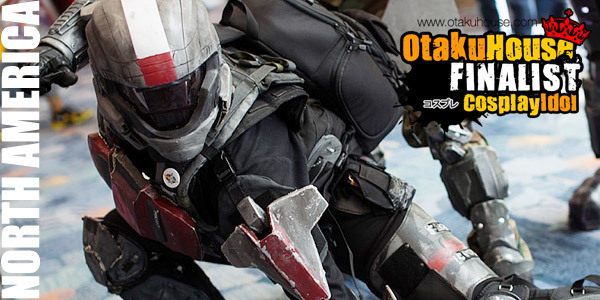 Description: I've always felt an affinity for the ODSTs. 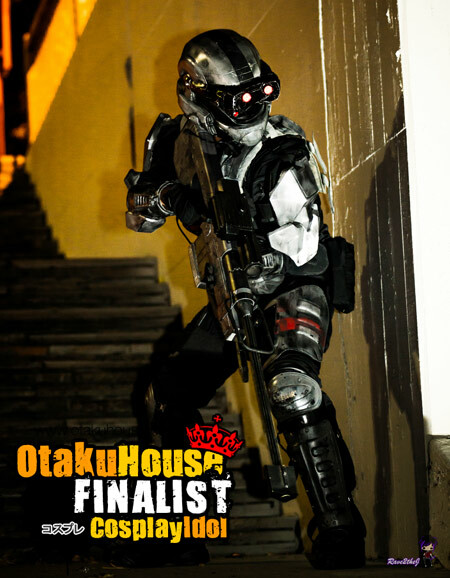 The first costume I ever made was an ODST, and I've continued to rebuild and refine my kit over the years. This is my latest version, with all new parts based on a character from the popular web series, Red Vs Blue, and I hope to build many variants in the years to come. I also enjoy making these kits comfortable and compact, and one of my goals is to always be able to do a "combat roll" in them. 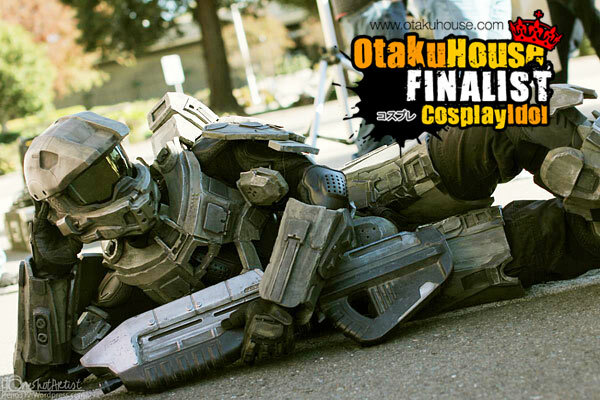 One day I plan to gear a bunch of skydivers up in ODST costumes and throw them out of an airplane. With parachutes, of course.